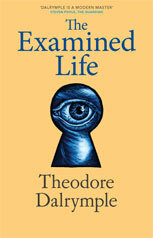 The Examined Life is a satire on the health-and-safety culture by the world-renowned doctor-writer Theodore Dalrymple. Dalrymple’s un-named anti-hero is a man who takes to heart every tabloid newspaper health scare, guards himself against every conceivable illness and worries endlessly about his mortality. He wears protective clothing to go shopping (though he prefers to shop online, of course) and every inch of unprotected skin is smeared in various creams and lotions. Unfortunately, his caution is his eventual undoing, as this elegantly-written and amusing book reaches its climax. A previous satirical novella, So Little Done, will be appended to The Examined Life free-of-charge, offering the customer two books in one.